Greetings from Singapore! My, what a fast and furious time these past two days have been for me. I have been here participating in the fourth annual Asian Festival of Children's Content (AFCC) as a speaker, panelist, moderator, participant, learner, and appreciator. CRAZY, RIGHT??? Thanks to the efforts of super bloggers Tarie (Asia in the Heart, World on the Mind) and Liyana (LiyanaLand), I came to Singapore to give a keynote speech on "Getting the Most Out of Blogging" (moderated by Liyana) and be part of a panel called "Blogging Today and Tomorrow" with coolcat author-blogger Candy Gourlay (moderated by Tarie). Me (far left) with Liyana (second from left), Tarie (far right), and two sweet blogger-writers from Malaysia WHOSE NAMES AND BLOGS I WILL PUT HERE IF SOMEONE TELLS ME. Please. Help. Photo taken by: Paolo Chikiamco. For my speech "Getting the Most Out of Blogging", I talked about how blogging should be more personal rather than professional, and, as such, should be able to grow as you grow, change as you and your interests or passions change. Blogging is a reflection of yourself rather than a blatant self-marketing tool. Thus, blogging should be low-pressure and fun; the minute that it stops being fun is the minute you should take a blogging break, step back and remember why you started blogging in the first place: because you felt passionate for something, and wanted to share that passion of yours with others. Yes yes, that's me speaking. Photo credit: Liyana. I've got to be honest with you: I was in a bad place, blogging-wise, in the weeks and months leading up to this conference. I felt overwhelmed by and fed up with blogging and other related forms of social media. Others were racing ahead on Pinterest, Instagram, Tumblr... and the more I fell behind, the less I wanted to be part of that race. Finally putting words to those feelings I had long bottled up inside me, and then hearing from people who still love blogging yet also understand its pressures, reinvigorated me in ways I could not have imagined. In particular, Candy Gourlay and Vivian Kirkfield's panel "Blogging and Tweeting for Authors", of which I was moderator, snapped me out of my social media funk and made me realize that I cannot and will not let social media dictate me and my happiness. Fueled by the energy of the like-minded souls I met at AFCC, I am now ready to come back to my blogging and other social media branches with a better understanding of how to best use them to maximize my voice and, most importantly, my happiness. 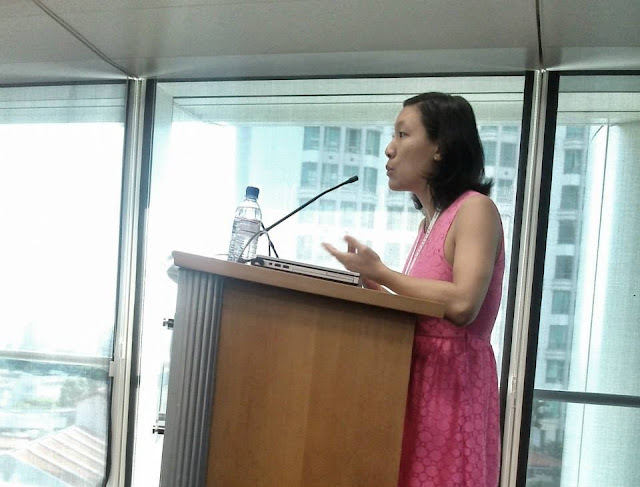 AFCC is not perfect, but I believe it is on the right track to being the best thing to come to children's literature, media, publishing, and blogging in Southeast Asia. I am so grateful to AFCC for giving me the once-in-a-lifetime opportunity to speak about my blogging experience, and I also would not hesitate to attend again if I am in the vicinity in the following years. With hard work and only a bit of luck, hopefully AFCC can continue to grow and attract more and more people to this worthy event. They've got a supporter in me. More about Singapore and the bloggers I met coming up soon! I’m not sure if there’s a connecting thread running through all these stories. Sometimes I felt like I could catch hold of a connection, but then the next story comes along and dashes my tentative theories into pieces. The best I can come up with is that this short story collection persuasively argues, in a peripheral, is-it-or-is-it-not kind of way, the importance of having a little more magic—however you define it—in our lives. 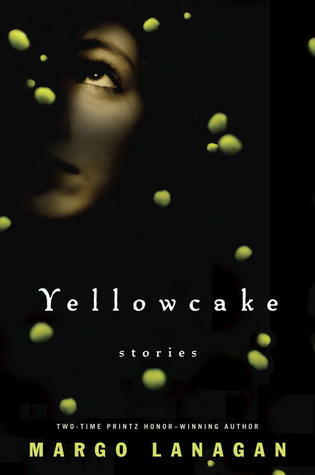 Cover discussion: In this age of movie-poster-clone book covers, this quiet and slightly mysterious one stands out. Echo Bay is a picture-perfect oceanside town with the expected batch of annual summer tourists and year-round privileged white teens. But it has an ominous claim to fame: several times in past Fall Festivals, a beautiful young woman mysteriously dies out in the water by Phantom Rock. I was hoping, when I picked this book up, that it would defy my expectations. With a synopsis that sounded like it had been lifted directly from a rejected Pretty Little Liars installment, I’ll admit that my expectations weren’t high. And while I did finish the book (which says something, I suppose, considering how I’m not afraid to DNF a book that I don’t have a chance of loving), I kind of wish that, well, I hadn’t. Throughout the whole book, I kept on shaking my head and saying to myself, “What’s wrong with this, Steph? 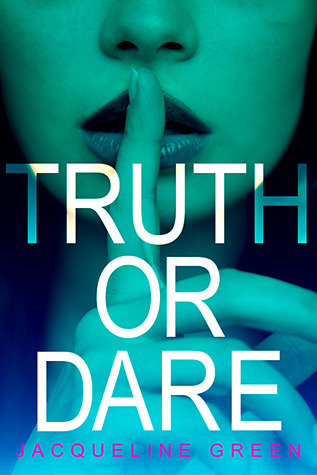 The writing is decent—it fulfills the basic requirements of a YA blockbuster—and yet, despite the fact that I am reading it, I have an utter lack of investment in the characters and their fates.” What, exactly, did TRUTH OR DARE lack that kept it only mediocre? And then I realized: it was lacking a heart. There is no non-superficial reason for caring about the characters. Superficiality in fiction differs from superficiality in real life. In real life, superficiality refers to physical, tangible things like appearances or dress or money. In fiction, it refers to the lack of spark that makes the characters never read like anything more than a couple of puppets. And it doesn’t matter how many oh-so-sad tragedies you want to pile on a character—Tenley’s father, Sydney’s past, Caitlin’s kidnapping, Caitlin’s panic attacks, Caitlin’s everything—the fact is that the author did not succeed in making her characters come alive with personality quirks and turns of phrase and all those things that make a person unique. It doesn’t take a really jaded reader to notice this. Despite the lack of heart and my lack of investment in the characters, I still kept on reading, drawn by the idea that all would be revealed, and several hours’ worth of my time would be justified. That was before I got to the thoroughly unrewarding ending, which, compared to the tight plotting of the rest of the book, was sloppy, a slap-dash anti-climax put together as a weak payoff before the mystery continues painfully on to a Book Two. What the hell?! Is it too much to ask for some sort of payoff, some sort of conclusion, after trudging through 400 pages of drivel tailor-made for the nonthinking YA reader? There is no clearer sign that this was a concept created for purely financial reasons than such a cop-out ending that basically demands that if you wanted to be invested in the story, you had better be in it for the long haul. Too bad that wasn’t made clear earlier in the story for the rest of us who have no interest in making that sort of an investment in a forgettable teen mystery series. Oh, I have no doubt that this book will find its audience. It’s just the sort of mediocre copycat drivel that drives the market nowadays. Cover discussion: No comment. Next question. Personally I find this opening tasteless, like it’s attempting to be shocking and edgy but failing miserably, kind of like the wannabe screaming vulgar things at an intimate concert in an attempt to be cool and being met with dead silence by the much classier crowd. However, after suffering through the whole book, I duly acknowledge the utter appropriateness of this opening line: it perfectly represents how unsuccessfully the book attempts to discuss issues of sexuality, body image, friendship, art, inspiration, and privilege. On top of that, ART GIRLS ARE EASY had a jumbled plot and weak character development. All in all, a hot mess. 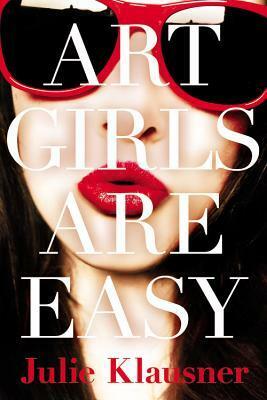 ART GIRLS ARE EASY wants to be cool. It wants to be the hip new thing that people are talking about, the story that owns criticism and commerciality, the trend that turns people’s thinking upside-down. Unfortunately, it had no idea where to begin doing so. What is the focus of this book, anyway? The jacket synopsis claims that it’s about Indigo and Lucy’s changing best-friendship, but the complexities of this new chapter in their lives hardly appear. Every once in a while, Lucy deigns to come find Indy, they exchange sweet nothings for a few lines, and then Lucy dashes off, leaving Indy behind to feel inferior and insecure. In theory this is what friends drifting apart is like—but the drifting apart needs to be apparent in the harmful way they interact with each other, to show an unhealthy relationship. This book is so confused about whether or not Lucy is the villain that it tries to do a little of everything, with (predictably) poor results: for 90% of the book, we’re led to believe that Lucy is the bad and selfish friend who is just using the less attractive Indy to bolster her own self-esteem, but then apparently their misunderstandings are cleared up in a matter of a few pages at the end, Lucy’s attractiveness is balanced out by Indy’s far superior artistic talent, and Lucy and Indy go skipping off into the sunset. Huh? This is a fine ending ideally, but little exists in the book to convince readers of the strength and veracity of their friendship. In fact, Indy and Lucy’s friendship rollercoaster takes a side-seat to the main spectacle that is Indy falling apart due to her insecurities. Scenes of Indy eating her feelings, lashing out at others, and even hurting herself could’ve been a moving reflection on adolescent self-esteem. I mean, this is serious stuff! But apparently Indy’s behavior is invalid because her perfect best friend never wavered in her loyalty. Um, what? Are we not going to discuss how, sadly, too many wonderful girls like Indigo will also have body image issues and thoughts of self-mutilation? Are you really going to send the message that as long as the insecure girl is loved by her attractive, nice, and perfect best friend, everything is going to be fine? That’s it. No lesson learned about privilege. The book totally passed on the opportunity to open readers’ eyes up to the existence of privilege in our lives and the extreme social stratification that results. The very fact that ART GIRLS ARE EASY so desperately tries to be cool upends any promise it had of being a halfway decent story. Its faux-edginess is only outdone by its inexcusable misunderstanding of teenage thoughts and feelings. And its unquestioning attitude towards privilege—unacceptable in today’s socioeconomic situation—is the rotten cherry on top of a shapeless, flavorless cake with all the nutritional content of a vat of high fructose corn syrup. 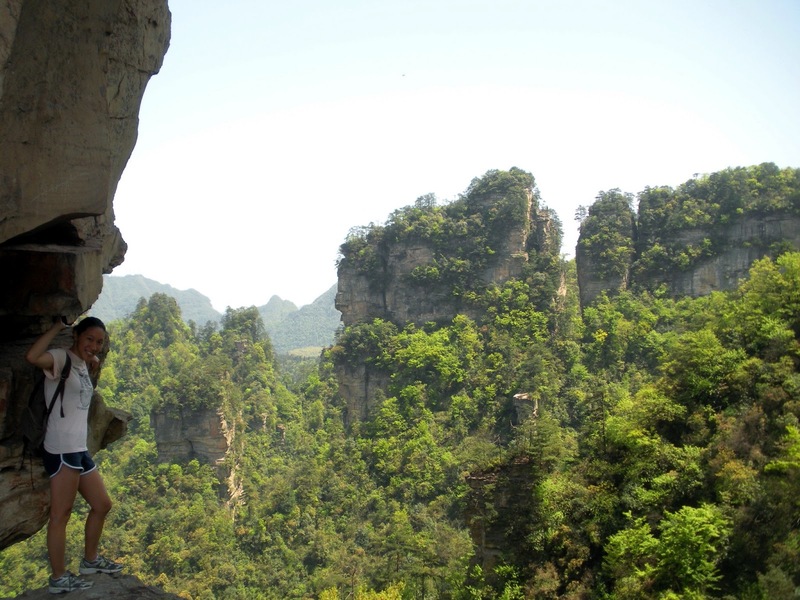 That's because Zhangjiajie is often considered the inspiration for the alien world in the movie Avatar. Visually it's an impressive sight. Spatially it is overwhelming, as Zhangjiajie, as it is best known, is actually a group of park areas collectively called the Wulingyuan Scenic Area, and consists of the four major areas Zhangjiajie National Forest Park, Suoxiyu Natural Resource Preserve, Yuanjiajie Scenic Area, and Tianzishan Mountain Natural Resource Preserve--which are then each further divided into smaller sections. Are ya confused yet?!? Well, I certainly was when I first tackled this giant beast of a park. However, a helpful map or two at your side while reading about how to conquer the park makes things a bit more manageable. 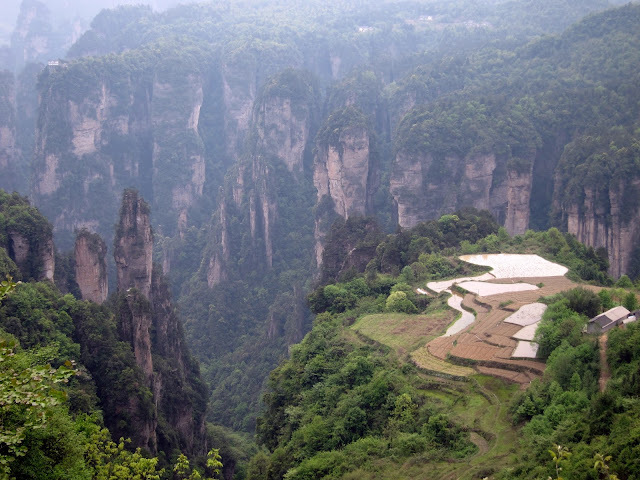 There are many options for getting to the Zhangjiajie area. Zhangjiajie city has a train station, a bus station (with buses nearly once or twice an hour going to and from Changsha, the nearest giant city in Hunan Province, about a 4-5 hour ride away), and an airport with flights from most major cities in China. 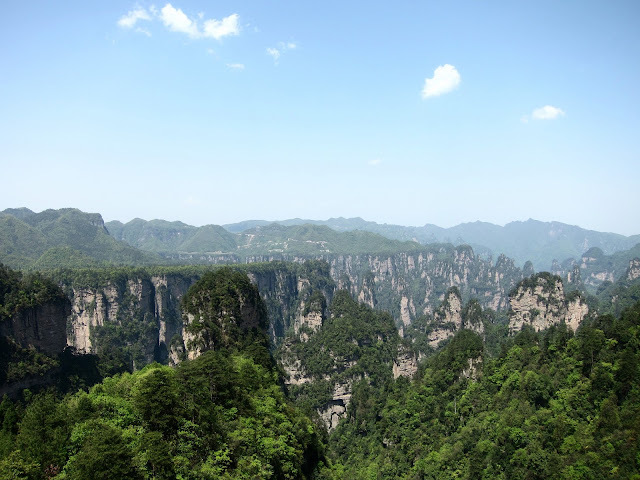 However, from Zhangjiajie city to the actual park area itself--and the entrances to the park area--is another 40 minutes by minibus, which can be caught leaving from the city car station (right next door to the train station) regularly and costs 10-12RMB. The two main park entrances that people use are the Zhangjiajie Forest Park entrance (森林公园门口) and the Wulingyuan entrance (武陵园门口). That means that you have four main "regional" choices for accommodation when visiting: Zhangjiajie City, which is that 40-minute minibus ride away; the sizeable town of Wulingyuan, outside the Wulingyuan entrance; the tiny Zhangjiajie Village outside the Forest Park entrance; and a smattering of hostels of questionable quality within the actual park itself. A fair number of people choose to stay in Zhangjiajie City, traveling the distance to and from the park cheaply, and thus have the convenience of all a decent-sized city offers. Your accommodation choices in Zhangjiajie City range from backpacker hostels to 5-star international hotels. (But a note on 5-star hotels in not-eastern China: they won't be at the 5-star quality of international standards. They'll be fine, but the gilding will cover the chipping paint.) I myself stayed at the Zhongtian International Youth Hostel in Wulingyuan, a 10-minute bus ride away from the park entrance, with everything you could want nearby: cities, supermarkets, wet markets, souvenirs, even a kitschy bar street. On Day Two, we decided to go to Huangshizhai, whose slogan goes, "If you haven't been to Huangshizhai, you haven't seen Zhangjiajie." Well, color me convinced, darlin'! There was a cable car but we decided to climb up. Eurghhh more stairs. Can't escape them if you want to escape the crowds. For Day Three, our destination was Yuanjiajie--specifically, a less developed scenic area within Yuanjiajie called Laowuchang. Today we wanted to save some time by taking elevators and cable cars. As it turns out, the Bailong Elevator, which we took to get up to Yuanjiajie, was mobbed by Chinese tourist groups. And let's just say that the Chinese are not known for their ability to queue. Furthermore, the elevator, which could've provided some nice photo opportunities, was a thing of pure function: I was crammed into the narrow and unaesthetically-pleasing elevator, shot up 300-something meters, and spat out with old Chinese men at my heels. It was truly hard to decide whether or not the time we saved would've been better spent getting away from the tour guides with their clip-on megaphones. Then we had the most difficult time trying to actually get to Laowuchang. After getting caught up in the tide of tourists at the head of Yuanjiajie (where I took the picture that is at the beginning of this blog post), we got onto a free mini-shuttlebus taking people to the Tianzishan park area. Only, as we found out, the shuttlebuses don't actually stop anywhere along the way, and we had no idea when to get off. 45 minutes later, we were at the other end of the park, but not where we wanted to go. So we rode with the driver back the way we came, asking him to drop us off at the place where we needed to go. Turns out, the driver forgot to stop for us! It wasn't until we were almost back at Yuanjiajie that he flagged down his driver friend who was going in the other direction and asked him to drop us off at the Laowuchang entrance. It's one of those stories that is amusing in future tellings, but not when it was happening. Rice fields at the edge of the cliff against a backdrop of karst formations! Amazingggg. Mind blown. I could've stayed there all afternoon, soaking in the sight, taking pictures. And perhaps we should just stayed there, then turned back, for the next part of our adventure was...adventurous. Not far after Fields in the Sky, the dirt road sputtered to an end at a huddle of crude metal shacks. Huh? Where did the path go? Where is the way to Celestial Bridge, supposedly the next sight on the route? In the end, we had to hire a cheerful local lady to be our guide to Celestial Bridge. She said that the path was hard for non-locals to find, and washed out in places, and would take about two hours. Well, it did take two hours--two hours of walking along a path that looked like it sees no people except for the rare wannabe-adventurous tourists who were tricked by maps into believing there was actually a path between the two sights. We wound in and out of fingers of mountain ridges, I lost count of how many, often with only a thin line of vegetation separating us from the edge. Again, one of those stories that's good for the telling afterwards, but a lot worrying when it was actually happening! It's an incredibly narrow bridge of rock, thousands of feet above the ground. It was unconvincingly gated off, so I had wanted to climb through and stand on it, with nothing but air for thousands of feet below me--but I decided not to put my life in the hands of two legs extremely shaky after walking for two hours through uneven brush. So yes, our third day was a great adventure! What a way to end our trip. The next morning we took the bus back into Zhangjiajie City and caught the 17-hour sleeper train back to Shanghai. Here's a final picture of Zhangjiajie to send you on your way until my next travel post. Bye! I got a lot of the info I needed for my trip to Zhangjiajie here.